Home Entertainment 10 Renaissance Memes too LIT for life! (10 Renaissance Memes too LIT for life!) Humour is a vital part of our lives. It creeps into all scenarios of life and adds a flavor which never goes undetected and unappreciated. Be it playful or sexual, grave or dark, it is an elemental part of our day to day lives. Memes, which make up about 70% of the content on our phones, have graced our lives, conversations and relationships with people and given a new definition of humor. Memes mock the mundane periods of human life and help us ease into them. It also creates a level of solidarity and unity when our relates to them just as much as we do. Renaissance Art, with its vague absurdity, is soon becoming quite the rage among members and as a member myself, I present a few in this article for everyone to view and enjoy. So, here are a few renaissance memes that are too LIT for life! 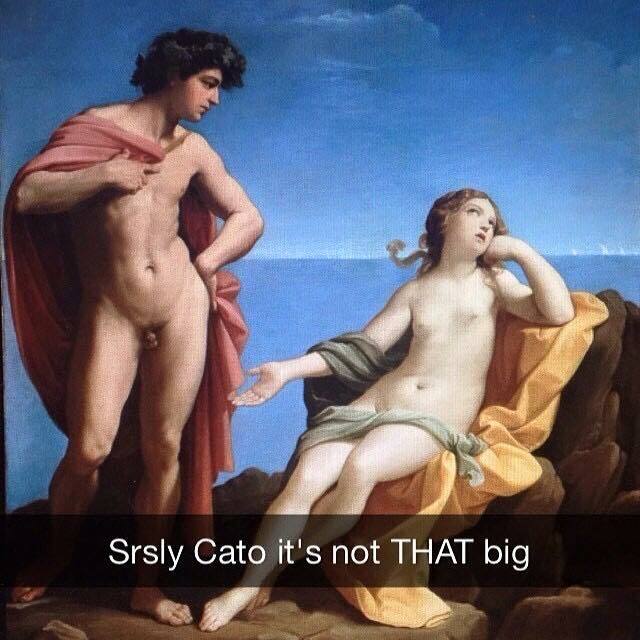 If you are having a bad day, these renaissance memes will definitely lighten up your mood. Thank us later!!! 1. When you meet a bad boy in a leather jacket and slick back fuckboy hair in a club and you’re too drunk to process his notoriety level so you just throw your head back and laugh and dance because YOU DON’T CARE TONIGHT. 2. YOUR REACTION WHEN your friend is too cheeky to backstab you so she sleeps with your boyfriend with you asleep on the same bed and front stabs you instead. IN ALL YOUR VITAL ORGANS. 3. Your pet when you slyly and skilfully pretend to throw the ball but you actually don’t so they give you this look. 4. When you’re on your 16th joint with your homeboy and he suddenly announces to the fam that you’re quite a sensational artist when you’re stoned, so you produce your sketchbook and this is what the first page reveals: THE ANIMAL KINGDOM BATTLING IT OUT ON ‘SURVIVAL OF THE FITTEST’! 5. When it feels like you’re walking on fire, your hair is on fire, the world around you is on fire, the semester is taking forever to come to an end, your friends are all falling in love/getting engaged/getting promoted/ having babies/having twins/having multiple babies in a row, but you have never really cared for anything so you’re there just like. 6. When you’re just done changing your baby’s diaper and you’re about to step out for a day with the girls and you hear a muffled “pfft” and you stare at your offspring in horror. 7. When hoe is life but sugar daddy is acting up. 8. Your crush walks past you and your belongings decide, AT PRECISELY THAT VERY MOMENT, to meet and greet their loyal friend GRAVITY so you’ve got to do some quick thinking. 9. You’re done with the house chores so you call up your BFFL from High School and chat it up about the promiscuous secretary at your workplace who may be having an affair with the boss. 10. When the fuckboy throws curveball after curveball at you in a year-long argument and your only strategy is to destroy his puffed ego. 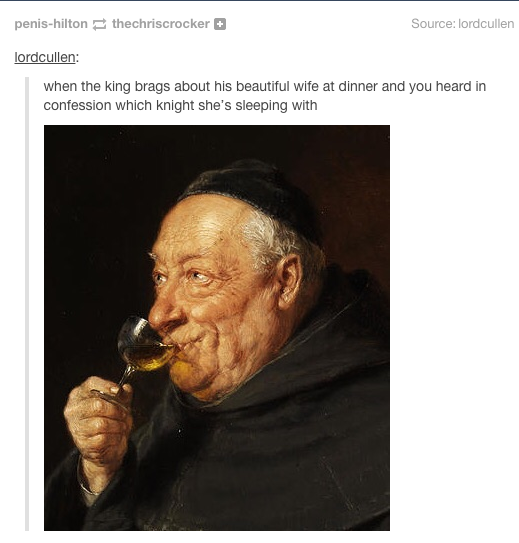 Aren’t these renaissance memes too LIT!